While the full results of the Twins Study probably won’t be released for another year or two, the first findings are now in. 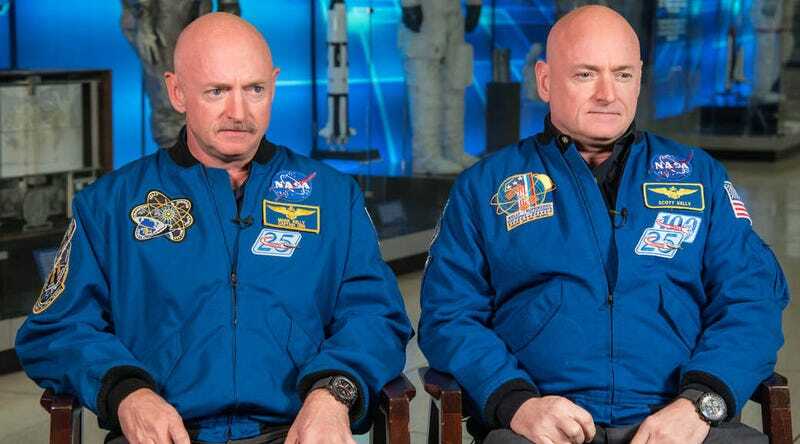 Samples taken before, during and after Scott Kelly’s most recent mission—in which he spent 340 days in space—“reveal[ed] changes in gene expression, DNA methylation and other biological markers,” Nature reports. According to the team of scientists leading the study, these changes are “likely to be attributable” to Scott’s lengthy stay in space. The team presented their preliminary findings on January 26th at a meeting of scientists working in NASA’s Human Research Program in Galveston, Texas. John Charles, chief scientist at NASA’s Human Research Program, said scientists are interested in telomer length during space travel because their erosion could cause health defects during long-term missions. It is critical to understand these potential health risks before sending astronauts on long voyages, such as one to Mars. Figuring out how the human body responds to long-term spaceflight is a lot of work, but someone’s gotta do it. Especially if we want that cat colony on Mars I’ve been dreaming about.